Current graphics cards are very powerful, but only because they do "simple" things. In other words, GPUs only have fast implementations for those things that are expected to make a game look great. No complain about that of course. But when something else is needed, and that something else is a little bit out of the usual requirements for a game, things do not go that well anymore. For example, texture filtering is one of those things that look great in games, but in reality the quality of current implementations is quite poor for other purposes. This article is about how to improve the linear filtering implemented in hardware. 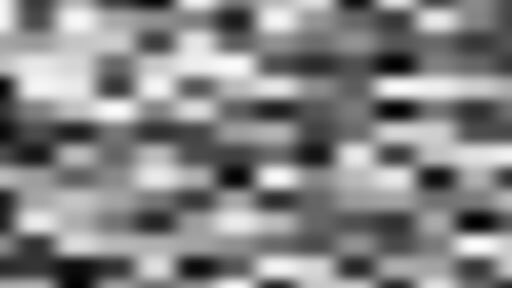 Linear interpolation is of course much better than the simpler nearest-rounding way of sampling a texture. However, the linear interpolation is only a first order polynomial interpolation, and therefore the slope/derivative of the resampled texture is piecewise constant. That means that when using a linearly interpolated heightmap texture to generate some normal/bump map or emboss filter one gets discontinuities (cause a normal/bump map or an emboss filter are differential operators). The effect is visible on the image below, where the left image clearly shows a cell pattern which matches the underlaying texel arrangement of the original texture (see in the bottom of the articles for the texture to which the emboss was applied). The right image shows the result of applying the technique described here. Note the artifacts happen when the texture is magnified. which gets value 0 both for x=0 and x=1, which are the extrema of the usual interpolation range (0..1). Therefore, we could potentially apply the same smoothstep() technique to texture interpolation if we had a way to trick the hardware about the interpolation factor, which is of course computed deep in the hardware's texture units. 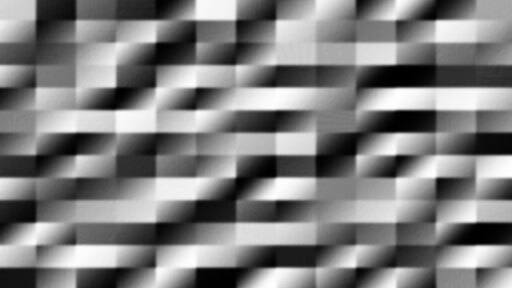 We can of course not access this part of the hardware (not yet at least), but we can artificially modify the texture coordinates passed to texture2D() to get the same effect. Let's see how. 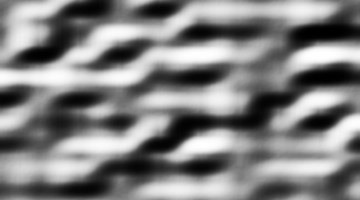 When the hardware receives a texture coordinate p thru the texture2D() function, it first computes the texel in which the sampling point falls. That will most often be in-between texels, and that's where the interpolation comes into the game. The four closest texels are chosen based on the integer part i of p, and based in the proximity to each of the texels, the four colors are blended to give a final color. The proximity is directly extracted from the fractional part f of the sampling position (p = i + f), and it's that direct relationship what the linearity represents, and it's that what we want to cheat. We would like the influence of the four texels to smoothly fade out as the sampling point is further, but not in a linear manner. So we have to pre-distort the fractional part with a fade curve, and that's where the smoothstep can help. Other curves than smoothstep can be used of course. I prefer to use a quintic degree curve which not only has null derivatives on the interpolation extrema, but also has second order derivatives that get zero there. That ensures than the lighting (which depends on normals) looks smooth all the time. It is of course much more expensive than a regular texture2D() call, but there are situations where there is no other solution to the problem, and in the end it only makes one texture fetch. As GPUs before more and more faster on computations but slower and slower on memory accesses, this code will not be that much of a problem for future GPU families.